Persephone lives in the most gorgeous place in the world. But her mother's a goddess, as overprotective as she is powerful. Paradise has become a trap. Just when Persephone feels there's no chance of escaping the life that's been planned for her, a mysterious stranger arrives. A stranger who promises something more—something dangerous and exciting—something that spurs Persephone to make a daring choice. A choice that could destroy all she's come to love, even the earth itself. In a land where a singing river can make you forget your very name, Persephone is forced to discover who—and what—she really is. One of my all time favorite Greek myths is the Abduction of Persephone. Honestly, I’m obsessed. So I quickly snatched up Radiant Darkness the moment I found out it was a retelling of that very story. Having researched so heavily on this myth, I went in reading with a head full of facts and expectations. When it came to the test, Radiant Darkness did not do justice what I was expecting. The whole point of Radiant Darkness is to tell the “truth” about Hades and Persephone: that Hades never really kidnapped her. “Okay, I’ll play along,” I thought at first. But Hades and Persephone knew each other all of a few days when he suddenly asks her to be his wife and queen. There was barely any development to their romance. Just four or five encounters and then he’s whisking her off (willingly) to the Underworld. One of the aspects that I loved about this book was the Underworld itself. It wasn’t simply stone and dirt, dark and gloom, but rather a complete world of its own with the sun shining during the day and even gardens for Persephone to tend. Whitman turned the Underworld into something new and original, and I really appreciated it. I also loved the evolvement of Persephone’s character from a girl to a woman­¾from average to goddess. Part of this evolvement was the growth of her relationship with her mother, Demeter. At first, Demeter only did was she thought was best for Persephone without any consideration for what her daughter wanted, but towards the end, she realized her daughter was a grown woman and could not be suffocated and smothered. On her part, Persephone realized that her mother loved her more than anything, and was only doing what she did because of that love. 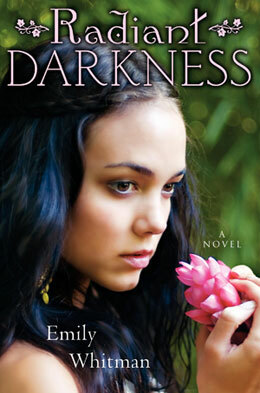 Radiant Darkness was an all right book that I did like reading. It just could have been better. Like you, I love this Greek myth, maybe best of all. I read the blurb and immediately wanted to read the novel. I'm sad that Hades and Persephone's relationship wasn't more drawn out but I really like the writing excerpt so I'm going to add it to my wishlist. Thanks for the review! I named my baby girl Persephone, so I've been hunting down books related to the Persephone myth to create a collection for her. Your reviews have been great for that! I've found a lot more for her collection now.